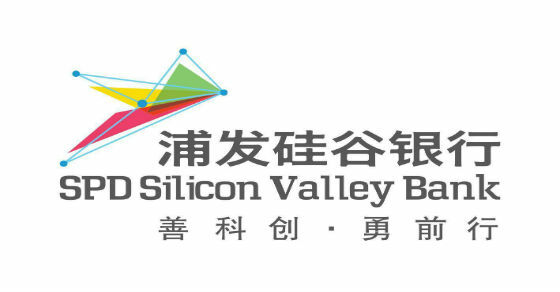 SANTA CLARA, CA – September 26, 2018 – Silicon Valley Bank (SVB), the bank of the world’s most innovative companies and their investors, today announced further expansion into China through SPD Silicon Valley Bank’s (SSVB) newest branch in Shenzhen. SPD Silicon Valley Bank is a joint venture bank that was established by Silicon Valley Bank and its partner, Shanghai Pudong Development Bank Co., Ltd., in order to offer specialized commercial banking services specifically for innovative companies and their investors in China. This is SSVB’s third location in China, after establishing its headquarters in Shanghai in 2012 and opening a branch in Beijing in 2017. SPD Silicon Valley Bank continues to build its presence in China, working with both Chinese and foreign companies seeking to do business in the country. SSVB provides entrepreneurs, startups, enterprises and investors insights and expertise based on its relationship with Silicon Valley Bank, and it provides the commercial banking products and services that help innovative companies increase their probability of success. The new Shenzhen branch is located in the Nanshan District and will enable SPD Silicon Valley Bank to serve companies in the vibrant Guangdong-Hong Kong-Macao Greater Bay area. The branch is home to approximately 10 employees and officially opened to technology, life science and cleantech companies and their investors on September 17, 2018. Visit www.svb.com/china for more information. For 35 years, Silicon Valley Bank (SVB) has helped innovative companies and their investors move bold ideas forward, fast. SVB provides targeted financial services and expertise through its offices in innovation centers around the world. With commercial, international and private banking services, SVB helps address the unique needs of innovators. Learn more at www.svb.com. ©2018 SVB Financial Group. All rights reserved. Silicon Valley Bank is the California bank subsidiary of SVB Financial Group. Silicon Valley Bank is a member of FDIC and Federal Reserve System. SVB>, SVB Financial Group, and Silicon Valley Bank, are trademarks of SVB Financial Group, used under license. Headquartered in Shanghai, China, SPD Silicon Valley Bank (SSVB) is a joint venture between Shanghai Pudong Development Bank Co., Ltd. (“SPDB" SSE: 600000) and Silicon Valley Bank (“SVB" NASDAQ: SIVB (SVB Financial Group)). SSVB is the first technology and innovation bank in China serving as an independent legal entity. It is also the first Sino-US joint venture bank. SSVB’s mission is to “increase our clients’ probability of success" by providing unique financial products and services to the technology and innovation industry and redefining the banking experience for innovation companies of all sizes. SSVB aims to create the “Innovation Ecosystem" and strives to be the most sought-after bank for China’s innovation economy. Target clients include those in the hardware, software, Internet, mobile, consumer technology, life science, biotechnology and cleantech sectors. SVB, SVB FINANCIAL GROUP, SILICON VALLEY BANK, 硅谷银行, 硅谷银行金融集团, and the chevron device are trademarks, separately and in combination, of SVB Financial Group in China, Hong Kong, and elsewhere, and are used under license. SPD, SHANGHAI PUDONG DEVELOPMENT BANK, and 浦发银行有限公司 are trademarks, separately and in combination, of Shanghai Pudong Development Bank, Ltd. in China, and are used under license. SPD Silicon Valley Bank is a Sino-U.S. joint-venture bank of Silicon Valley Bank, the California bank subsidiary and commercial banking operation of SVB Financial Group, and Shanghai Pudong Development Bank.